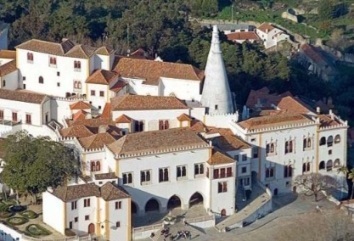 Sintra is a lovely World Heritage site with many treasures visible only on foot. Begin walk at the National Palace in downtown Sintra and explore the mountain passing beautiful private estates in lush forest on your way to the Moorish Castle** and Penaferrim Chapel. Follow a foot track down the hill to Santa Maria Church and visit the Parque de Liberdade on your return to the town*. Length: 5.2 km. Terrain: medium (2 km uphill and 3.3 km flat or downhill). See prices and dates below. Enjoy coastal views from the mini-bus as we head to our trailhead at Praia Grande beach. This amazing hike along the ocean offers splendid views and the chance to observe local maritime flora and fauna. 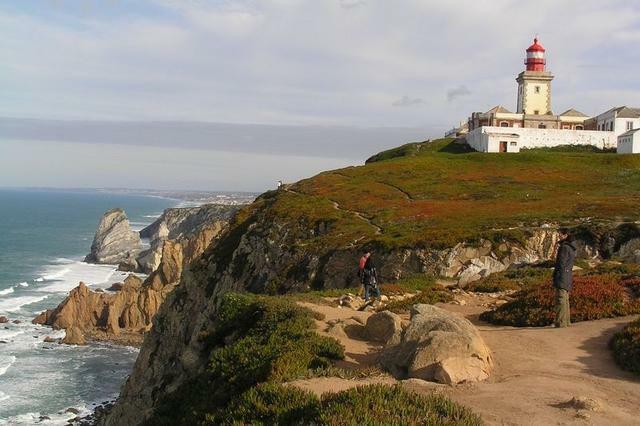 We finish at Cabo da Roca, the most westerly point in continental Europe. Length: 8 km. Terrain: moderate – for age 8+. See prices and dates below. 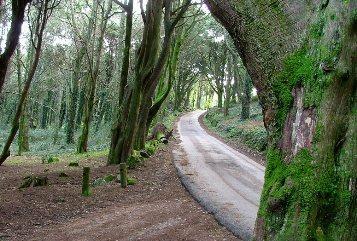 We begin our walk at Peninha, a 14th c. chapel near the quaint foothill village of Malveira da Serra and explore the trails and breath-taking Atlantic scenery in Sintra Natural Park. Walk ends at Guincho Beach, so come with your swimsuit. Length – 7 km or 10 km. Terrain: easy/moderate. See prices and dates below. What to bring: Comfortable clothes and walking shoes, hat, sunscreen, backpack with snack, water and camera etc. (We have water in the mini-bus at all times). Minimum: 2 pax.Max: 8 pax (for larger groups we require 7-day notice). Reservations/Cancellations: Minimum 48-hours in advance of tour departure. Cost of meals and entrance fees not included. Accident and liability insurance coverage included. Guests agree to TCJ’s term & policies upon payment (see link). *If guests want to stay in Sintra/or Guincho at end of tour they may take alternative transportation back to Cascais/Estoril. For example, guests may bring accompany mini-bus in their rental cars and leave them at trail end so they are free to tour on their own afterwards. Alternatively they can catch a bus from Cabo da Roca, Sintra or Guincho to Cascais station. **Entrance fee to Moorish Castle is 6€ for adults and 5€ for youths up to 17 and seniors 65+.